I have never understood why people rave about Bob Dylan. His voice has always set my teeth on edge, and I’ve never been able to get beyond it. Apart from, that is, his song, Lay Lady Lay. As soon as I hear it, I am straight back to 1971, in that pokey little room on the second floor of the antiquated nurses’ home where I lived for the first year of my nursing training, singing lustily along with my friend, Liz. So, the fact that Dylan turned 70 this week means little to me. However, I did sit up and take notice when I read about the interview he did with his friend Robert Shelton, many years ago while flying back from a concert in his private jet. At the time he was only 25, and already hailed as the most important voice of his generation. What impressed me about this interview wasn’t Dylan’s candid admission of taking heroin as younger man – he certainly wasn’t alone in doing that – but how he was struggling to cope with the expectations that were being projecting onto him by millions of fans from around the world. The 60s was a time of social and sexual revolution. People wanted a new prophet to follow. Dylan was it. Young through he was, Dylan had obviously got the plot. He realised that life was both fragile and fickle. More importantly, he understood that he was mortal. Perhaps it was accepting this fundamental truth that has kept his feet on the ground all these years, and enabled him to deal with with the adulation that has followed him for almost fifty years. These days, in our media and celebrity-fuelled culture, we could do with a dose of Dylan’s humility. There’s a lot of vulnerable people on pedestals out there, set up to believe they are in invincible. For a while, it may indeed, seem to them that they are, which can lead to some pretty atrocious behaviour. But, when we believe we are better than everyone else, or we misuse our position of power, hubris, that fatal human flaw of pride and arrogance, has a habit of showing up, and knocking us very painfully and publically off those plinths. The footballer Ryan Giggs may be the latest casualty. Sadly, he won’t be the last. So, although I may not like Dylan’s music, I certainly have a new-found respect for him. This entry was posted in All posts and tagged Bob Dylan, hubris, Lay Lady Lay, Ryan Griggs. Bookmark the permalink. ← Why are we Brits so poor at talking about dying? 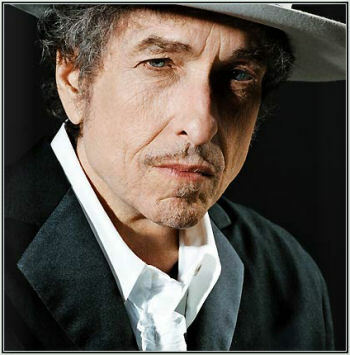 Dylan is certainly not an easy singer to listen to, but his songs are wonderful. I I don’t always want to listen to him singing them though, so I try and get really excellent covers. One such is Bryan Ferry’s album Dylanesque. His version of Knockin On Heavens Door is beautiful. There is also one called Black America Sings Dylan, which gives his songs a very ‘soul’ treatment. There is an excellent cover on this of Times They Are A Changin. I think Dylan simply observed what he saw, and wrote it in his songs. He never set out to be a prophet or an icon. I have to say though that I prefer Leonard Cohen to Bob Dylan. Cohen is a far better performer than Dylan, even now when he is well into his seventies and his songs are on a par with Dyaln’s. (Or maybe that should be the other way around), yet he doesn’t seem to get a fraction of the publicity and adulation that Dylan gets in British mainstream media. Hi Sue you might enjoy this – available until Sunday. I watched it live! Martin Scorsese continues to explore the emotional, musicial and intellectual journey of Bob Dylan’s early career. The story turns dark. At 23, Dylan is already a newsworthy phenomenon and with that success comes expectations – from the old left to become a politicial activist, and from the media to articulate the concerns of America’s youth. It’s a role in which Dylan is completely uninterested. He is already on the move, finding a new musical vocabulary to capture the complexity of a seismic cultural shift. He injects a heightened sense of poetry into his writing and adds electricity to his music, electricity that now seems inevitable but at the time saw him labelled a sell-out and a traitor. Scorsese delicately balances Dylan’s internal world with signpost images from the external world. Dylan’s music is the backdrop as the war in Vietnam escalates and the nightly news brings home images people would never have dreamed of seeing on their television sets. Scorsese takes the time to let viewers really see the music unfold in revelatory concert performances. By 1966 Dylan’s personal world has become one of constant touring and press conferences. By the end of the film it is plainly obvious that for Dylan there are some journeys from which there is No Direction Home. Sorry to hear that, Sue. I’m rather biased as he is my all time favourite singer. Maybe you’ll come to him in time!